In order to eliminate stress and maintain my peace I must keep my focus on God. When I wake up with my mind racing about the multiple things I feel I MUST do, I must remember who is in control. I must remember who provides each hour, minute and second in every day and surrender my schedule to the Creator. God is not calling me to be irresponsible. God is not advising me not to plan.God is simply saying before my flesh begins to work the plan that I have devised in my mind and often put to pen & paper that I pause and pray. God is simply saying be still and know that I AM. I AM knows the plans he has for me. Plans to prosper and not to harm. Plans to give me a hope and a future. I AM has a plan better for me than I have for myself. As I continue to wait on the Lord, he will continue to renew my strength. I know every day I will not get it right but as I am intentional about keeping my focus on God and following the plan he has for me there will be fewer days that I get it wrong. There will be less time and money wasted because I rushed to do it my way. The steps of a good person are ordered by the Lord. Simplicity means followings these steps. 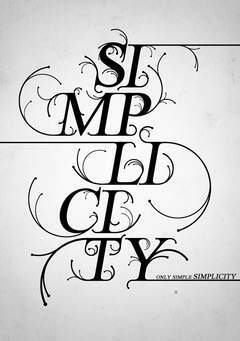 Simplicity means trusting in the Lord with all my heart and leaning not to my own understanding. Simplicity means being intentional about living a life that pleases God. Thanks for the delightful encouragement! The Military has a saying: keep it simple stumpy (kiss). The stumpy term is for all of us which attempt to complicate the smallest things. You are welcome. I apologize for the delay. I have not been faithful to by blog posts. I am striving to keep it simple in 2019 by being intentional to write a blog once per month.